My short story was just chosen to be part of an art show. (Amherst, VA) – Stephanie A. Smith of Gainesville, FL, has been awarded a fellowship by the Virginia Center for the Creative Arts (VCCA). The VCCA is located near Sweet Briar College in the foothills of the Blue Ridge Mountains in rural Virginia. Stephanie A. Smith will be among approximately 25 Fellows focusing on their own creative projects at this working retreat for visual artists, writers and composers. A typical residency ranges from two weeks to two months. Each artist is provided with a comfortable private bedroom, a private studio and three prepared meals a day. Beyond the breakfast hour and the dinner hour, there are no schedules or obligations. This distraction-free atmosphere, as well as the energy that results from having some 25 visual artists, writers, and composers gathered in one place, enables artists to be highly productive. Serving more than 350 artists a year (more than 4,000 since its inception), the VCCA is one of the nation’s largest year-round artists’ communities. VCCA Fellows have received worldwide attention through publications, exhibitions, compositions, performances, and major awards and accolades, including MacArthur grants, Pulitzer Prizes, Guggenheim fellowships, National Endowment for the Arts awards, Rome Prizes, Pollock-Krasner grants, National Book Awards, Broadway and Off-Broadway productions, and Academy Award nominations. VCCA has been a wellspring of music, literature and the visual arts in the United States, providing residencies for artists from all disciplines during the most important and the least supported phase of their work: the creative phase. This is done by giving visual artists, writers, composers, performance artists, filmmakers, collaborating artists and those whose work crosses disciplines the crucial elements every artist needs—time and space to do their work. A nonprofit organization founded in 1971, the VCCA is supported in large part by grants and private donations. More information is available online at www.vcca.com or by calling 434-946-7236. Dear all — I just wanted to wish you all a good holiday season and be sure to invite you to my Rothman talk next February! Inspired by my commissioned short story, “Winter Studio, 1901,” (Monet and American Expressionism, UF Press, 2015) my next novel, STILL ICE, tells the story of a medical anomaly, a human-chimera named Cody Hoving, who is also the great-great grandchild of a forgotten female Impressionist painter, Irene Hendricks Hoving. In utero, Cody had a twin, until one embryo absorbed the other so that, at birth, the baby is a hermaphrodite; her parents chose to have the infant’s genitalia altered and Cody is raised female, but she never easily identifies as such; later, she reverts to being a man, going on to become the CEO of a successful Boston AI and soft robotics company. When his grandfather’s dies, Cody finds himself the owner of the Hoving family home on Martha’s Vineyard and so returns there, with the intention to sell. But as the terrible winter wears off, he becomes deeply—perhaps too obsessively?—fascinated by his lost great-great grandmother. As Cody uncovers Irene’s secrets, his own quest for viable AI poses an increasingly urgent dilemma: has he, like both Victor Frankenstein and his own great-grandmother before him, been chasing after a creation better left unmade? This event is part of the 2015-16 Fellowship Brown-Bag Series, which features informal talks by the Center for the Humanities and the Public Sphere’s Rothman Faculty Summer Fellows, Tedder Doctoral Fellows, and Rothman Doctoral Fellows. Fellows will speak for 20-30 minutes in length about their funded work, leaving ample time for questions and discussion. Author Stephanie A. Smith reads from her Warpaint Trilogy with a selection from Baby Rocket. The Warpaint Trilogy is three intertwined novels written as stories that are connected in a style of historical literature or historical fiction. She reads from the section called “Shuttle” which centers on the main character Clementine Dance, who was abandoned as a child. 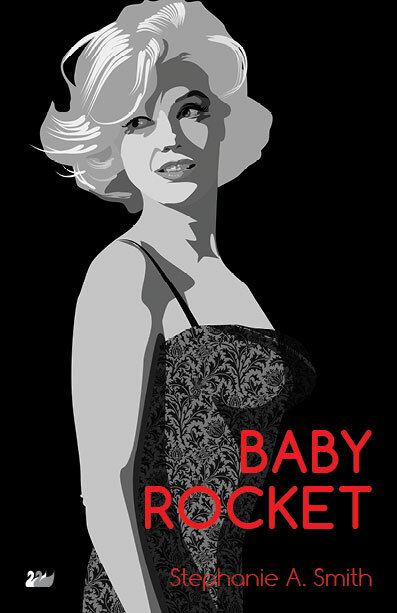 Clementine was found hiding in a rocket ride near a grocery store, which is how she came to be called Baby Rocket. Her destiny is to regain her memory and learn of her family secrets. The section starts with a dismal scene at Florida’s Gainesville Airport a number of years ago. After the book reading, students then ask the author several questions about the setting, how the characters are created, and whether they are based on real people. The method of interweaving the novels is explored, and there is a discussion of the time it takes to craft a good story. The release of the third book in the trilogy “Content Burns” is announced for March 1st, 2014. A second trilogy is announced to begin with “Strange Grace”, and perhaps a third to total nine books. 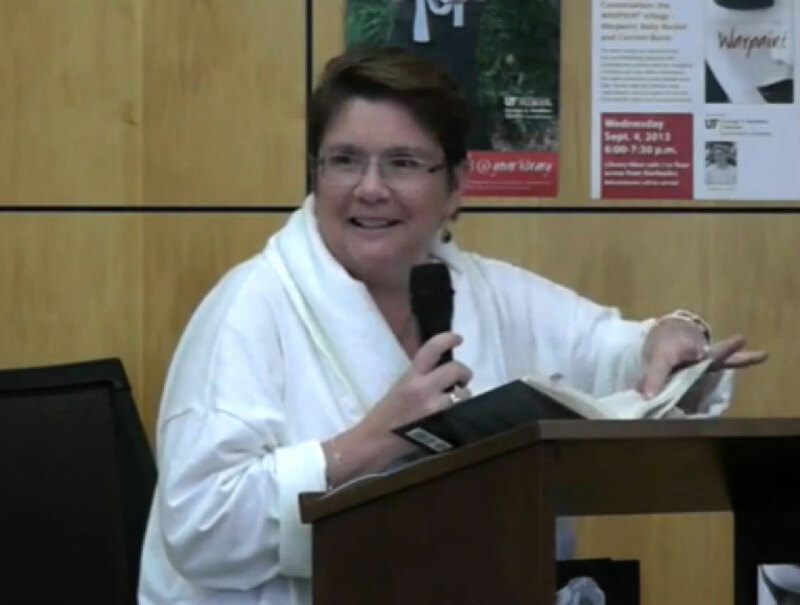 Explore the other parts of this website for reviews and more information on her books, appearances, and videos. To purchase Baby Rocket or the entire Warpaint Trilogy, see Stephanie A. Smith’s newest books. Learn about life from the point of view of a writer creating fiction through historical literature. This video series by Stephanie A. Smith, author of the Warpaint Trilogy, explores how a good story is crafted through colorful characters and interesting settings that draw the reader into the historical scenery. Stephanie may even reveal her personal recipe for writing a heart gripping novel! This series would be greatly enjoyed by aspiring writers and fans of historical fiction.